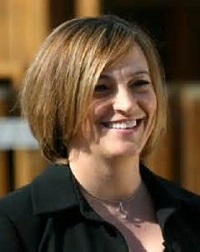 Prosecutor Jennifer Clark proposes settlement of case against William M. Windsor in Missoula County Montana. 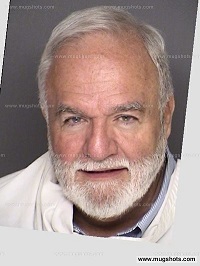 Bill Windsor has been charged with the heinous crimes of Tweeting, Emailing, Publishing, and Producing a Movie. Bill Windsor wrote over the weekend that he had some significant developments to report. This is one of them. Attached is an offer for us to discuss. It calls for two misdemeanor offenses. I put an expiration of next Friday. Please review and call me to discuss. It calls for you to plead on two of the counts that are easily proven both by the evidence and your own admissions. One is for the website that you didn't take off-line until well after this case was filed and the other is for posting Mr. Boushie's name on your website. You have stated that you had no criminal intent when you did this. The statute requires the State to prove that you had knowledge of the order and that you purposely or knowingly violated a provision. Knowingly is defined as: a person acts knowingly with respect to conduct or to a circumstance described by a statute defining an offense when the person is aware of the person's own conduct or that the circumstance exists. A person acts knowingly with respect to the result of conduct described by a statute defining an offense when the person is aware that it is highly probable that the result will be caused by the person's conduct. When knowledge of the existence of a particular fact is an element of an offense, knowledge is established if a person is aware of a high probability of its existence. Equivalent terms, such as "knowing" or "with knowledge", have the same meaning. Purposely is defined as: a person acts knowingly with respect to conduct or to a circumstance described by a statute defining an offense when the person is aware of the person's own conduct or that the circumstance exists. A person acts knowingly with respect to the result of conduct described by a statute defining an offense when the person is aware that it is highly probable that the result will be caused by the person's conduct. When knowledge of the existence of a particular fact is an element of an offense, knowledge is established if a person is aware of a high probability of its existence. Equivalent terms, such as "knowing" or "with knowledge", have the same meaning. Therefore, the state must show that you were aware it was highly probable that the result would be caused. In this case, you knew that you didn't take down the website. Further, because you posted your own complaint on your own website (which you have admitted is yours), the State will likely prevail that there is a high probability that you were aware of your conduct and result. COMES NOW JENNIFER CLARK, Deputy County Attorney, WILLIAM MICHAEL WINDSOR, Defendant, and submit the following agreement as the appropriate disposition for resolution of the above-entitled cause. The above-named Defendant agrees to enter a plea of guilty to the offense(s) of COUNT I: VIOLATION OF ORDER OF PROTECTION - 1ST OFFENSE, a Misdemeanor, in violation of Mont. Code Ann. §45-5-626; COUNT III: VIOLATION OF ORDER OF PROTECTION – 1st OFFENSE, a Misdemeanor, in violation of Mont. Code Ann. §45-5-626. Defendant shall pay cost of prosecution in the amount of $50.00. Defendant shall pay surcharge of $85 on each count. Defendant shall grant a permanent order of protection to Sean Boushie, Wynette Boushie and the University of Montana. Defendant shall obtain a mental health evaluation by a state approved treatment provider/facility, at his own expense and follow all recommendations of said evaluation. Defendant specifically agrees that he is willing and able to pay the monetary obligations under this agreement. Defendant shall have no contact with the victim(s) or their immediate family members by any means including written, telephone, electronic device, by a third party or in person. By signing below and by accepting the benefit of this agreement the Defendant expressly waives any right to appeal and any claims for post-conviction relief, including but not limited to claims of ineffective assistance of counsel. The State agrees to dismiss three counts. The State agrees to reduce COUNT III to a misdemeanor first offense. This offer expires on August 14, 2015, unless changed in writing. The recommendation is conditioned upon the Defendant breaking no additional laws or violating conditions of release before sentencing. I the undersigned Defendant, after full discussion of the charge(s) and penalties with my defense counsel, and after being fully advised of my rights to a jury trial, my understanding of my right to persist in my plea of not guilty and to demand a jury trial, do hereby accept the above offer and agree to enter plea(s) of guilty to the charge(s) specified. I hereby knowingly waive all objection to any substantive defect in said charge(s) and my right to a jury trial on the charge(s). I further understand that the offer made by the State is dependent upon the accuracy of my criminal history as I have represented it. My criminal history is as set out in the State’s file. I understand that the Court is not bound by this Agreement and may impose the maximum penalty for the offense(s) charged, but that if the Court chooses not to follow this plea bargain, I shall be so informed and allowed to withdraw my plea(s) of guilty. These special terms are not things that I feel I can live with. And the idea of saying I committed a crime when I didn't would be forcing me to lie, and I don't do that. No one ever asked me to do anything with the website. The TOP expired, and the U.S. Constitution is clear that no one may be deprived of their property without due process of law. An ex parte TOP given to a criminal perjurer does not qualify. There was never a hearing. Furthermore, what I didn't do, I didn't do from Texas where the TOP was invalid by statute. The Montana Supreme Court said I couldn't publish Sean Boushie's name on SeanBoushie.com, and the TOP does not say that I could not publish his name. But my evidence will include hundreds of articles where his name was not posted as well as articles where I stated that I was not prohibited from publishing his name but was holding off out of an abundance of caution. The evidence shows that I never posted anything on SeanBoushie.com after the TOP was issued, out of an abundance of caution. Those articles were not published in Montana. They were publicly-filed legal documents. And I did not know Sean Boushie's name was in them, and I redacted them as soon as I was made aware. These articles were published in Texas where the TOP was invalid by statute. Nothing was done knowingly or purposely, and nothing was done with the intent to commit a crime. There are a number of people who need mental health evaluations in this case, but I am not one of them. 1. If YOU were Bill Windsor, what would YOU do? 2. What do you think Bill Windsor will do? Click here for Bill Windsor's Answer to Jennifer Clark's Plea Bargain Offer.